Congratulations to tour winner Dynal R. and to host winners Andi's Book Reviews and Laurie's Paranormal Thoughts and Reviews. 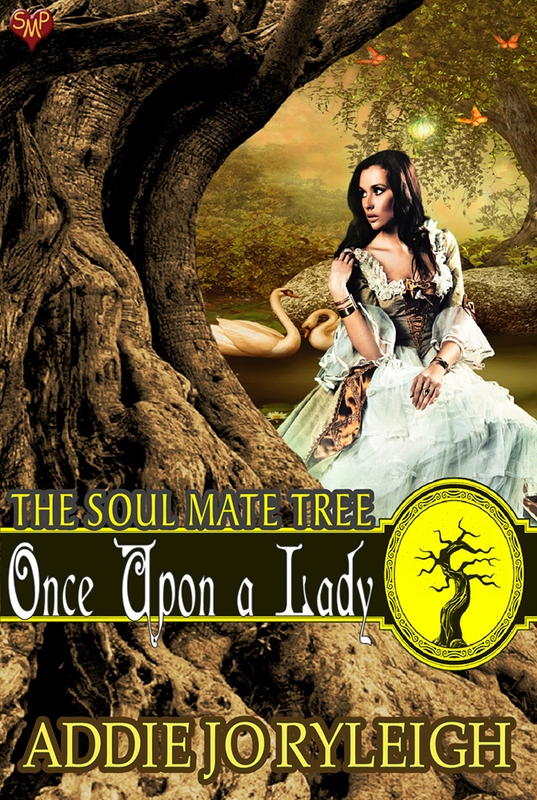 Goddess Fish Promotions is organizing a Virtual REVIEW ONLY Tour for Once Upon a Lady by Addie Jo Ryleigh, a 145 page Fantasy/paranormal available now from Soul Mate Publishing. The tour will run every Monday for 4 weeks starting on September 3, and the book is available in PDF formats. Addie Jo Ryleigh will be awarding a $25 Amazon GC to a randomly drawn winner via rafflecopter during the tour, and a $25 Amazon GC to a randomly drawn host. Because this is a review tour, GFP will award a $5 Amazon GC to a randomly drawn host. That all changes the night she panics at her impending future and runs, stumbling upon a private grove, a mysterious tree . . . and a half-naked man. September 3: Archaeolibrarian - I Dig Good Books!